The bracelets from Nomination’s collections are guaranteed Made in Italy and are fashionable, highly personal jewellery that’s perfect on any occasion. Whether your style is classic or contemporary, within the men’s, women’s and children’s collections you’ll find the right bracelet for you and your loved ones. 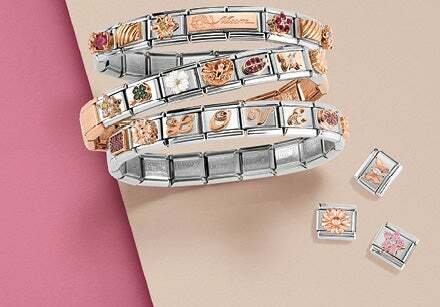 Choose from among our selection of romantic charm bracelets if you’re looking for something magical for a special woman, or go with a bangle bracelet for a sleeker and more modern look. Another great gift idea is engravable bracelets: write an inscription on a Composable bracelet Link or on the back of your Nomination jewellery for an original and personalised dedication. And let’s not forget about all the jewellery just for men: the Metropolitan, Montecarlo e SteeliKONS collections were created for the man who wants to be elegant everywhere he goes. From among the many options you’ll definitely find the accessory you’re looking for: from bracelets in leather to those in stainless steel and others with brilliant gemstone details. Discover them all! 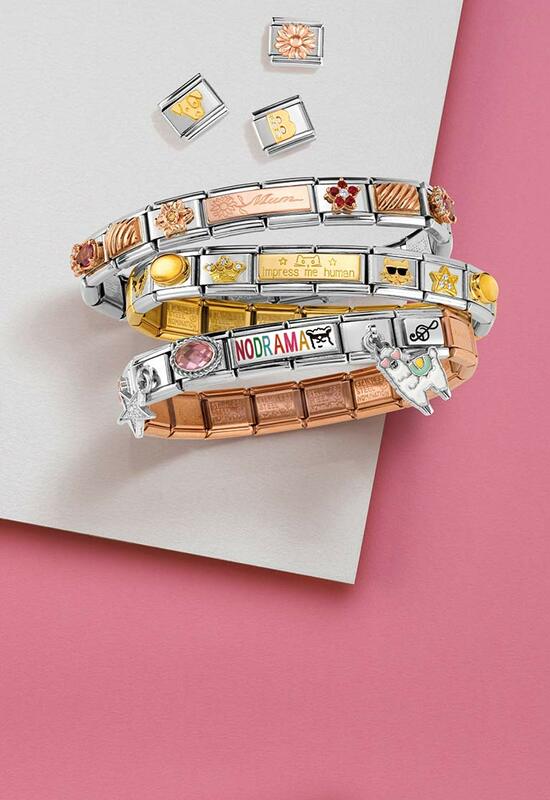 Nomination has the perfect bracelet option for every occasion, whether it’s to surprise a loved one with a special gift or simply to treat yourself to a well-deserved little something. We’ve got the right bracelet for every budget. For example, for less than €100 you’ll find delicate sterling silver bracelets decorated with good luck charms, gemstones and elegant Swarovski pearls, and bracelets in stainless steel and leather for him. There’s also a wide selection of stretch bracelets embellished with gold details, or ready-to-wear premade Composable bracelets prefect as an original gift for a wonderful man or woman. And last but not least, there are lots of ideas for kids: for the little ones, there are lots of adorable bracelets decorated with cute charms in coloured enamel.